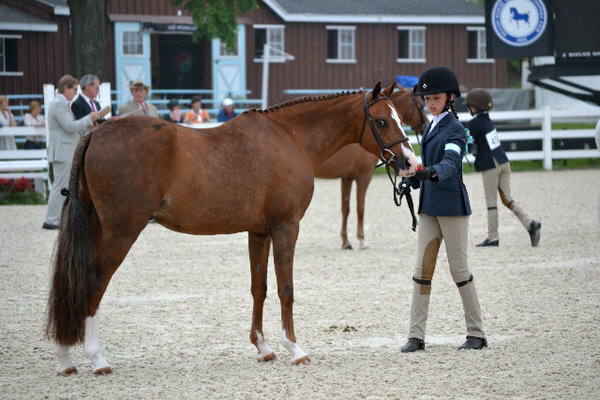 Early on the morning of May 26, Kristen Williams and her daughter, Katie, arrived at a barn on the grounds of the Devon Horse Show, where elite competitors in full dress have entertained spectators for the last century on Philadelphia’s Main Line. Ms. Williams had paid thousands of dollars to lease a pony for Katie to ride in a hunter competition, a 12th birthday present. Soon after arriving, their trainer left to administer an injection to a nearby pony, Humble, that Katie’s friend, also celebrating her 12th birthday, was scheduled to ride shortly. Moments later, with Ms. Williams and her daughter watching, Humble collapsed and died. The death of a supposedly fit pony about to carry a young rider over hurdles was worrisome by itself, but circumstances surrounding the death made it even more so. The care and management of old horses has been the focus of much scrutiny of late. The reason is obvious: horses are living much longer than they once did, and horsemen needed to know how to offer appropriate care. Horse owners owe a debt of gratitude to the researchers that have unfurled the mysteries of age-related issues. In the past several years, significant research time and dollars have been devoted to Cushing's disease, melanomas, insulin resistance, and other syndromes that tend to crop up among the older equine set. Horse owners have been asking the same question for centuries: How do you feed a horse so that he has plenty of energy for whatever you want him to do, without producing an animal that is too active, nervous, or spooky to ride? Years back, the problem of too much energy was blamed on too much feed. If the rider couldn’t control a horse that was “feeling his oats,” the experience usually wasn’t pleasant and might even have been dangerous. Energy is a measure of a feed’s potential to fuel body functions and exercise. Various pathways and substrates are used by the horse to produce a chemical intermediate that fuels muscle contraction during exercise and depends on the intensity and duration of the exercise. The main productive function in horses—racehorses, draft horses, trail horses—is work. The basic driving force behind the various types of equine performance is the conversion of chemically bound energy from feed into mechanical energy for muscular movement. Just in time for winter--a time when many owners opt to pull their horses' shoes for the season--a team of researchers has released results from a study examining the effects of normal gaits on hoof wear in barefoot horses. Six horses of varying ages and weights were exercised at a walk, trot, canter, and gallop on a treadmill for three exercise sessions a week for four weeks. Scientists measured the strain on the hoof walls using strain gauges and evaluated proximal hoof circumference and toe angle at various points in the exercise period. Editor's note: This article is part of TheHorse.com's ongoing coverage of topics presented at the 2012 International Society of Equitation Science conference, held July 18-20 in Edinburgh, Scotland. In a world where "sustainable" has become a million-dollar buzzword, some horse owners might be on the lookout for ways to create sustainable equine athletes. According to a British equitation scientist, if we pay attention to certain details--like good conformation, good footing, progressive training programs, well-rounded exercise programs, body condition, and subtle signs of lameness--we can help our horses enjoy longer sports careers. "Musculoskeletal injury is the most common cause of days lost from work and horses lost, in all equine sports," said Sue Dyson, MA, VetMB, PhD, DEO, FRCVS, head of Clinical Orthopaedics at the Animal Health Trust in Newmarket, England. "I believe the prevention of injury and early recognition of injury are key for a sustainable athlete, both physically and mentally." The fall is a time of lovely colors, family get-togethers, and winding down the busy show season. However, fall is often a time of increased colic calls to veterinarians. While not all colic episodes can be prevented, paying attention to equine management can go a long way to decrease the incidence and the suffering of episodes. Colic, which is actually not a disease itself but a sign of stomach pains, can be caused by many different factors so it is well worth every horse owner's time to learn all they can about prevention of this syndrome. Ken Armstrong, DVM, is an equine veterinarian who has been in practice for many years and has seen many horses for episodes of colic during this time. "A lot depends on the weather as the temperature swings can result in frozen or ice-covered water," Armstrong says. "This can result in horses drinking less water..."
Suspensory ligament injuries are relatively common in dressage horses, but there is little scientific information available on their causes. A recent study by researchers at the Animal Health Trust in Newmarket, England, examined the possible link between movement patterns at the collected and extended trot, and risk for suspensory ligament injuries. The most important nutrient in the horse's diet is one that is rarely added to feeds: water. Though it is often overlooked in discussions involving equine nutrition, water could be considered the first limiting nutrient of all horses, as they cannot survive for as many days without water as they can without feed. The amount of water required by the horse is determined by the magnitude of water losses from its body. These losses occur through feces, urine, respiratory gases, and sweat and, in the case of lactating mares, milk. These losses are affected by the amount, type, and quality of the feed consumed, environmental conditions and the health, physiological state, and physical activity of the horse. Horses will generally consume as much water as they need if given access to a palatable water source. Horses at rest in a moderate climate will generally consume between three and seven liters of water per 220 lb (100 kg) of bodyweight. This translates to around 4-9 gallons for a 1,100-lb (500-kg) horse. Omega-3 fatty acids have proven to be beneficial for horses with arthritis or other inflammatory conditions, but when it comes to choosing a supplement, which one is best? There are two sources of equine omega-3 fatty acid supplements--one derived from algae and fish oil and the other derived from plants. Recent research performed at Colorado State University (CSU) shows that although the equine body incorporates the two supplements differently, each has its benefits. My Horse, Meindert, Has New Boots! Insect Protein: Horse Feed Ingredient of the Future? All animals need protein as part of their diet. Dietary protein is particularly important for young growing animals that are building muscle and other body tissues. Lysine and threonine are two essential amino acids contained in high-quality protein that should be an ingredient in feeds for young horses. While protein is a key ingredient in horse feeds, it is also one of the most expensive components, partly because protein is in high demand and somewhat limited supply. Soybeans are incorporated into feeds for horses and cattle, and fish meal and soybean meal are common sources of protein in feeds for poultry and swine. There is always interest in new and innovative sources of protein for animal feeds. My Horse Has Retracted Soles? Ever have a horse with pretty healthy feet, and yet after a normal trim, just like you’ve given the horse a dozen times before, they are very footsore? Of course the horse is miserable, and you’re scratching your head wondering what went wrong? Or a horse who has been suffering some sort of sub solar abscess that is not resolving after weeks and weeks? And every time you or the vet checks the horse you each get different reactions to hoof testers? And you wonder why won't this abscess resolve already? Or a horse with seemingly low grade laminitis that isn’t a metabolic type, didn’t have any illness, and hasn’t gotten into the grain bin? Poor horse just has hot feet, mild digital pulses, and sensitive feet? All of these situations could actually be retracted soles. Retracted soles are a hoof condition documented by Esco Buff APF, Ph.D CF, Hall of Fame Farrier from Webster, NY. He presented on the subject at the 2012 International Hoof Care Summit, and has published an article on retracted soles in the Sept/Oct 2012 issue of the American Farriers Journal. I also spent five days with Dr Buff at his Summer Summit this past August where we further studied retracted soles. A horse, mosquito, and snake walked into a bar. The bartender looks up and says, "Is this some kind of joke?" Turns out, the bartender knows those three animals shouldn't be fraternizing because he read a recent article by Thomas Unnasch, PhD, proving snakes can harbor Eastern equine encephalitis virus (EEEV) and could play an important role in transmitting this deadly virus. Like the West Nile virus, mosquitoes become infected with EEEV after a blood meal from an infected bird. If that mosquito then feeds off a horse, the EEEV can be transmitted to the horse. "Certain areas in the northeastern United States are 'hot spots' for EEEV," explained Unnasch, a researcher from the Global Health Infectious Disease Research Program, Department of Global Health at the University of South Florida, in Tampa. "Because there are no mosquitoes in those areas of the U.S. in the winter and few birds, it wasn't obvious how the virus over-wintered in those areas." He added, "Previous research found that certain mosquito species feed off of reptiles as well as birds and horses, suggesting that hibernating snakes infected with the EEEV via mosquitoes could explain how the virus survives the winter..."
As Elin Gränsgärd recovered from wounds incurred during a vicious dog attack, she contacted us for assistance dealing with the trauma to her horses, and her riding associates. We were moved to help after reading Swedish national news articles detailing the attack. This attack by two large aggressive malamute dogs on the horses on a training ride, resulted in Elin being personally savaged by those dogs to the point of unconsciousness, and near death. After Elin recovered from the vicious wounds, we traveled to Sweden to work with Elin's horses that had been terrorized in addition to other riders and their horses. Lori Childress, Belton, South Carolina, and Maria Bergeng, Nesna Norway, (Start 'em Right Senior Interns ) joined me north of Stockholm to conduct the diagnostics, evaluations and some training for a number of endurance horses. Reflecting on our recent trip to Sweden, we considered how endurance horse characteristics have parallels to the characteristics of a well rounded back country trail horse. We were in Sweden to conduct a nine day equine Behavioral Analysis clinic, and provide instruction for defensive riding. We used this simple program ourselves for many years before we began riding our horses without shoes. It’s a straightforward system that we learned more than 20 years back from another experienced endurance rider at a day seminar when we began doing endurance. The principles are much older than modern endurance sport, and don’t change with fashion as they are based on the physiology of the horse. We have taught this method to many riders with good results. It is a method of slowly preparing the novice horse for his first endurance ride, but also for giving the advanced endurance horse a good start after a period off work. There are many more sophisticated training techniques that we won’t discuss in this article. Once a horse has completed this initial program, other techniques can be applied. This simple foundation will only help the other training techniques give better results. You don’t need to use this program. Endurance has plenty of experts and each one has their own method of getting horses fit. But if you don’t know where to start, you can use this program with confidence, it has been proven. It can prepare a healthy novice horse to complete 80km slowly. (Don’t have any illusions of winning, for that you need a whole lot more time and work, and besides you have a 16 km/h speed limit on novices). It builds a good foundation of fitness, that can be developed from there. Also by using it, albeit in shortened form, on the same horse at the beginning of each season, the horse will only get stronger and tougher. WARNING: The method is easy to understand, but not easy to apply, especially Phase one. I am referring to impatience. Few people will find the Walking Phase easy, but it is a good lesson in self-control and therefore worth more than gold to the endurance rider. Remember, the method only works if it is correctly applied. Do not skip Phase one. Conditioning: Working the horse to become strong enough to complete endurance rides without damage. Hard work/ workout: This involves hard work where you ask the horse to put in a greater effort than he is accustomed to. Typically, 20 minutes after the workout the horse’s pulse will be higher than you are used to. That means you have stressed it. Recovery day: On these days you allow the horse to recover from the stress. Exercises you can do are twenty minute lunge sessions (ring work) at a steady trot, schooling, a gentle hack or outride, etc. Rest day: Typically a Sunday. No work at all. Exercise: The level of work that does not stress the horse. It just maintains the fitness. NB! A horse can be got fit enough to go fast in a relatively short period, but will not be conditioned to withstand injury. Only after 3 seasons of endurance (provided he had no serious tendon/ligament injuries) will he be thoroughly conditioned to be ridden hard and competitively. One hundred years ago most people would not have dreamed that horses would be drinking electrolyte-tinged water, devouring rations spiked with beet pulp, corn oil, and animal fat, or scarfing down sundry supplements. For most horses, even the ones that earned their keep by plowing the family fields, transporting the town physician from house to house, or carrying the leisure class from one societal function to the next, a steady diet of hay or pasture and perhaps some oats or corn kept them in adequate body condition. With the advent of the automobile and the transition of the horse from the ranks of necessity to the ranks of recreation, horses were asked to perform more athletic endeavors. The need to jump higher, gallop faster, and trot further became paramount to equestrians, and research in equine nutrition escalated as the level of competitiveness rose. As research refined nutrient requirements, scientists sought ways to efficiently deliver maximal nutrients. In recent years, researchers have turned to new feedstuffs in an effort to find magic fuels. Despite continued efforts, there is reliance upon the time-honored feeding methods of years ago. Whether horsemen are feeding long-adored or newfangled feedstuffs, lore surrounds some of the offerings. Unraveling the mysteries and fallacies of common feed ingredients is not as difficult as one may believe. Hay is hard to find in some areas. Because of a scarcity of hay in many regions, can you just skip feeding hay this winter and make up the deficit by doubling your horse's grain ration? The answer is an emphatic NO. Hay, or some other source of fiber, is absolutely necessary to the health and function of the horse's digestive tract. Overconsumption of grain is characteristically followed by colic, gastric ulcers, or laminitis, so this is not an option to consider. Aim for an average of 1.5% of the horse's weigh in hay or equivalent forage each day (approximately 15 pounds of hay for a 1000-pound horse, or 7 kg for a 450-kg horse), adjusting up or down depending on the horse's age, use, and metabolism. Why is fiber so important in the equine diet? Consumption of grass, hay, and other forage fulfills both physical and psychological needs. Horses have a strong desire to chew, and also to have the full-gut feeling that comes from eating a lot of fiber. Deprived of adequate forage, horses tend to chew on trees, fences, stalls, and anything else that is available. A steady supply of forage helps to maintain the optimum types and numbers of microorganisms in the hindgut. These bacteria and other organisms transform fiber into energy the horse can use for growth or performance. The proper balance of beneficial bacteria prevents an overgrowth of harmful organisms that may upset digestion. As well as aiding the passage of food through the digestive tract, adequate fiber provides bulk and weight in the intestines. This helps to keep them from twisting and looping around each other, possibly leading to tissue damage and colic. Is there a particular need for forage during cold weather? We would like to thank every one who helped in the national effort to ensure that State Governors do not opt out of the Recreational Trails Program (RTP). It appears that only Florida and Kansas have opted out. MAP-21, the new transportation funding bill, allows state governors to opt out of the Recreational Trails Program they notify the U.S. Secretary of Transportation of their decision no later than 30 days before the funds are apportioned (which was September 1, 2012). Both are a surprise to trail advocates. Florida has had a large and highly successful State Trails Program for many years, and among the top in state-funded rail trails. Florida also has seven regional bike/ped coordinators involved with trails as well as roads, sidewalks, and safety programs. Kansas trail advocates expressed confidence that their state would continue the RTP funding, right up to the official announcement. Several other states narrowly avoided losing RTP funds. New Mexico, a State with a large unspent balance of RTP funds, Alabama, a State with an increasingly effective trails program and widespread local interest in community trails, narrowly avoided the opt out which was supported by the State's department of transportation. New Mexico reversed its official stance at the last minute, and decided not to opt out. Nebraska and Iowa DOTs were reportedly seeking to opt out, but decided not to, apparently due to well-publicized public support for the trails funding. As part of the Coalition for Recreational Trails, American Trails and other groups worked to raise the potential problem of States being allowed to opt out of RTP. As one result, there would be no funding for State trails program operation in addition to losing the grant funds. While funding for bicycle and pedestrian facilities is eligible under the new Transportation Alternatives category, nonprofits and volunteer groups would lose eligibility for funding. During August 2012, the International Mountain Bicycling Association (IMBA) took the lead in developing a joint letter for each of the 50 Governors. Almost 800 organizations have signed on to the letters that were sent. A campaign was also mounted following that effort to encourage organizations and grassroots supporters to make their voices heard by contacting their Governor directly. Most American owners are aware of the increased number of West Nile virus (WNV) cases confirmed in the U.S. horse population this year. What they might not know is how the virus affects horses in other countries. According to C.J. (Kate) Savage, BVSc (Hons), MS, PhD, Dipl. ACVIM, WEVA Oceanic delegate, a similar virus--Kunjin--is endemic in parts of Australia. "(Kunjin) is antigenically and genetically similar to WNV and was reclassified as a subtype of WNV in 1999 (WNV/Kunjin)," she said. Parts of Australia suffered a large equine WNV/Kunjin outbreak in 2011, she said, after which Frost et al. identified a new WNV strain as the cause. "Results showed that most of the cases were caused by a new strain of WNV, which has been termed WNV(NSW2011)," Savage explained. "This is most closely related to WNV/Kunjin. However, the new strain appears to invade nervous tissue to a greater degree than the original Kunjin virus." Research has shown a significant link between hind-limb lameness and saddle slip. It has revealed consistent saddle slip in some horses with hind limb lameness, even when the lameness is fairly subtle and difficult to detect. Saddle slip in sport horses is a well-recognised problem that can occur for several reasons, including asymmetry in the shape of the horse’s back, riders sitting crookedly, and ill-fitting saddles. The head of Clinical Orthopaedics at the Centre for Equine Studies at the Animal Health Trust in Britain, Sue Dyson, had also observed that saddle slip may occur because of hind limb lameness. Feeding time! Open a bag of ready-made feed and you're set, right? But wait--there's a staggering variety of offerings on the feed store's shelves, and it's important that you choose the correct one for your particular horse. Manufacturers fortify these feeds with vitamins and minerals in a "complete" blend designed to provide all the nutrients a horse needs (when fed the recommended amount) without additional supplementation. Hay and/or pasture grass should make up the bulk of your horse's diet (he requires 1.5 to 2.5% of his body weight in forage per day), so most complete feeds are meant to be fed in addition to adequate forage. While many horses (particularly overweight or sedentary animals) simply need hay/pasture, water, salt, and a vitamin/mineral supplement to meet their nutritional requirements, the working or underweight horse, for instance, will benefit from a commercially fortified feed. The array of complete feeds includes some that are cereal grain-based and others that are low-starch. Some are sweet feeds and still others are pelleted. There are those designed for growth, broodmares, performance--even senior citizens. The latest therapies for injured tendons and ligaments focus on rebuilding the tissue to its original strength and elasticity. When it comes to tendon and ligament injuries, there's bad news, good news, and more bad news. The initial bad news, of course, is the diagnosis itself. One thing that hasn't changed in millennia is that any injury to a horse's leg tendons or ligaments--which make possible the lifting, extending, flexing, and shock-absorbing that equine limbs do--is a serious threat to his short-term soundness and his future career prospects. The good news is that where once the tincture of time was the only potential cure, today's veterinary medicine provides us with a dizzying array of treatment options for strained or shredded ligaments or tendons. Some can facilitate the healing process; others are tremendously promising in terms of minimizing scarring and encouraging the fibers to heal in an alignment indistinguishable from the original tissue--and that means everything in terms of restoring a horse to full soundness. And the second round of bad news, if you can call it that, is there are so many treatment options now that it might be difficult to decide which path to choose. When fat is substituted for carbohydrate isocalorically (calorie for calorie) in a horse’s ration, blood glucose and insulin responses to feeding are reduced. It was unclear, however, whether this response was simply due to reduced glucose in the diet or if fat affects glycemic response in some other manner. An experiment carried out at Kentucky Equine Research (KER) was designed to evaluate whether adding fat to a grain meal would affect glucose and insulin response to feeding when the level of grain intake remained the same. After over 20 years in the horse business and making protective hoof wear for horses I've finally been told by a horse owner via e-mail that "You're going to hell". My decline and direction toward the underworld started when I purchased an Arabian race horse named Clunk. I purchased Clunk with the goal of trying to make a urethane form of hoof protection that absorbed concussion, allowed the hoof to flex as nature intended and provide the traction needed to win flat track races. I was pretty naive going into the project and found out very quickly that the flat track industry wasn't going to allow just any Easyboot model and making a product to comply with the rules would not be easy. We’ve all heard that pulling our horse’s shoes for the winter can be a good idea. But we’ve also heard how many pitfalls there are when we pull them. Here is a breakdown of how we at Daisy Haven Farm in the Northeastern USA, a fairly wet, humid environment, help our clients who want to pull shoes for the winter. Chances are your foot may have minimal height once the shoe is pulled off. Some farriers advocate not trimming anything once the shoe is removed and instead prefer to allow the foot to grow. This has pros and cons. Your horse may be more sensitive or even considered painful when walking without shoes. You may have some foot infection to deal with around the white line or nail holes. If you wait too long the ground may be frozen and make pulling shoes more difficult. You may have to reduce the amount or kind of work your horse is doing until your feet are stronger barefoot again. Fortunately we have many resources available to us to help minimize the challenges and set us up for success with this process. A recent two-part Australian study investigated hoof moisture levels in horses exposed to wet versus dry environments, as well as the the impact of soaking a hoof on moisture absorption. Brian Hampson, PhD, member of the Australian Brumby Research Unit at the University of Queensland and lead author of the study, relayed, "The moisture content (of the hoof) is controlled by the internal circulation, which is fairly constant in the healthy horse." Hampson and colleagues collected hoof wall samples from routine feral horse-culling operations in New Zealand and Australia. They measured the hoof wall moisture content in hooves from wet, semi-arid, and arid environments. Moisture content was nearly identical in hooves from all three environments, averaging 29.5%. .
Starch is a highly digestible energy form and can provide energy needed for exercise, growth, metabolism, and other equine life functions. However, when fed improperly, this nonstructural carbohydrate can be detrimental to your horse's health. Most of the energy contained in grains, such as corn and oats, and a percentage of the energy from forage is starch. During digestion, starch is broken down primarily in the horse's small intestine by an enzyme called amylase. This process efficiently produces glucose, a type of simple sugar essential for fueling some bodily functions. The original intent of this article was to relay how malicious and deadly some mosquitoes are, but according to Charles Calisher, PhD, professor of microbiology, immunology, and pathology at Colorado State University, mosquitoes are neither spiteful nor a menace to society. "Mosquitoes are not deadly," he explains. "It is the viruses and microbes they transmit that are deadly." So although mosquitoes do not willfully harm horses (aside from getting a snack), it is still important for owners to minimize contact between mosquitoes' mouthparts and their horses. "Mosquitoes transmit some of the deadliest and most debilitating diseases in the world, including malaria, dengue fever, and lymphatic filariasis," says Nicholas Ledesma, a DVM/PhD candidate in the field of Comparative Biomedical Sciences at Cornell University. "In addition to the human mortality and decreased quality of life they cause, mosquito-borne diseases (arboviruses) such as Eastern equine encephalitis afflict both domestic and wild animal populations." In this article we will describe how mosquitoes transmit viral infections, identify the most important viral infections horses can acquire from these annoying arthropods, and describe methods for protecting horses from infection through vaccination and control ¬measures. Because the average oat grain is about 30% hull (fiber), and oats contain sufficient protein, calcium, and phosphorus to meet the requirements of mature horses, oats have traditionally been the predominant grain used by horsemen. Horses digest oats easily in comparison with heavier whole grains like wheat and corn. Around the middle of the last century, more oats were grown in the U.S. than at present. The decline has been mainly due to poor yields. Genetic modification to improve yields has not been as successful in oats compared to gains in other crops. In spite of poor yields, the quality of oats cannot be denied. A study of fatigue in long-distance endurance horses might offer some helpful insights for trail riders who ride for shorter distances. In a study conducted by the University of California-Davis, researchers analyzed almost 3,500 records of horses competing in endurance rides. These rides were sanctioned by the American Endurance Ride Conference and all horses were required to have veterinary checks every 10 to 20 miles throughout each race, which ranged in distance from 25 to 100 miles. Horses were eliminated from the competition if they were found to be lame or showed signs of significant fatigue. One of the most common questions asked about feeding the performance horse is when to feed before a competition. Theoretically, feeding should be timed so that all of the nutrients from a meal have been digested, absorbed, and stored before starting exercise, but not so long before exercise that the horse begins to mobilize fuels just to maintain its resting body functions. It is probably better to exercise horses eight hours after feeding rather than fasting them overnight, since an overnight fast may disrupt digestive function and may lead to gastric ulceration. Blood glucose is the most limited fuel available to the horse. Blood glucose is maintained primarily from mobilization of liver glycogen and these stores are small compared to the amount of glycogen stored in the muscle. If blood glucose is used extensively by the muscle, then blood glucose will fall and this may lead to central nervous system fatigue since glucose is the primary fuel used by the nervous system. The horses exercised three hours after feeding experienced a large drop in blood glucose because insulin was elevated at the onset of exercise. This caused an increased uptake of glucose by the working muscle. The horses exercised after an overnight fast or eight hours post feeding began work with resting levels of both glucose and insulin. During exercise, blood glucose actually increased, indicating that the horses were mobilizing liver glycogen at a faster rate than the glucose was being cleared from the blood. Time of feeding had no effect on lactic acid accumulation during exercise, suggesting that time of feeding only affected how fuels were used for aerobic exercise. Anaerobic energy generation was unaffected. This means that during extremely intense exercise of short duration such as a Thoroughbred race, time of feeding is not nearly as important as when the horse is performing strenuous exercise of longer duration such as the cross-country phase of a three-day event. All of the parameters measured responded nearly the same whether the horses were fed eight hours before work or fasted overnight. It is probably better to exercise horses eight hours after feeding rather than fasting them overnight, since an overnight fast may disrupt digestive function and there is evidence that fasting horses may lead to gastric ulcers. Poor scores at the vet gate during an endurance ride can be the first indication of trouble in some cases. Scoring poorly in any of the parameters should cause you to assess the problem and decide if there’s anything you can do to reverse it. This is especially true for multileg rides during which a rider has the opportunity to avoid elimination after the next leg, but it is also important to remember to address these issues even after completion of the ride. There are a couple of problems that can be rectified nutritionally if noticed early enough. Generally these are the metabolic scores.